Candid, independent reviews of the best places to stay in Phnom Penh. 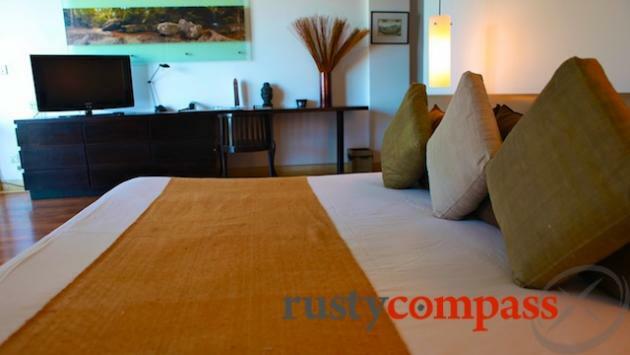 From quality traveller digs to luxury hotels - handpicked by Rusty Compass. Phnom Penh offers some of the best city accommodation experiences in Asia. Cambodia’s capital is spoiled with cosy lodgings sporting plenty of local character and style. From the Raffles Le Royal at the top end to a superb selection of mid-priced boutique digs, travellers can choose a hotel with style and atmosphere on all but the most modest budgets. 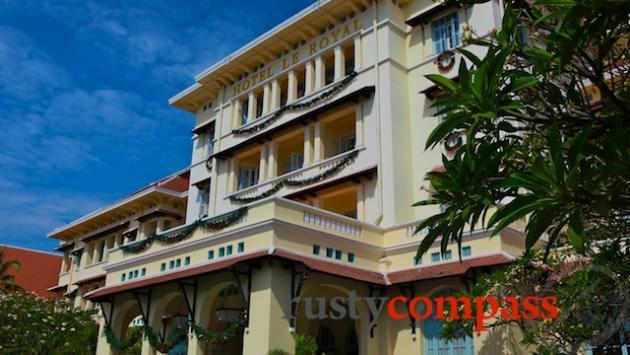 The city’s ultimate hotel experience for both history and luxury is the French colonial era Raffles Le Royal Hotel. Built for the colonial elite and the first wave of travellers to Angkor in the late 1920s, the Le Royal has been at the centre of city life for eight decades including a tragic role in the traumatic Khmer Rouge takeover in 1975. Since its refurbishment in the late 1990s, the Le Royal has been the place to stay for those not needing to watch the pennies too carefully. The good news is that those on a tighter budget can also stay in atmospheric and historic small hotels. Phnom Penh’s boutique hotel scene is flourishing with a great selection of small, tasteful, cosy spaces with good facilities priced between US$40 and US$100. Many offer as few as 10 rooms making prior arrangement a good idea especially at busy times of the year. We’re especially fond of Boddhi Tree Aram, The Pavilion, Villa Langka and the 252 but there are plenty more to choose from. Phnom Penh is compact so all of our selected hotels enjoy good access to the city’s attractions. Those wanting to stay on the river will pay a small premium and will also need to compromise on facilities like gardens and pools. Most of the better boutique options are off the river. 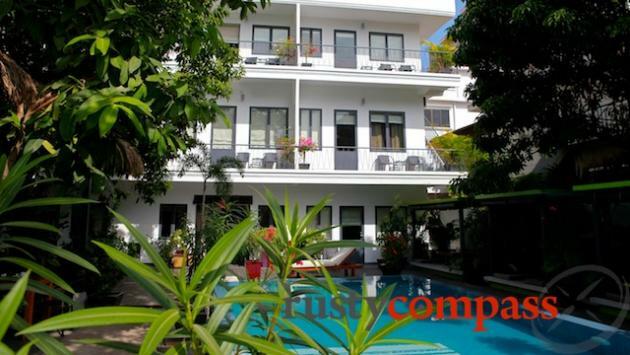 Check out our listing below for more details on recommended hotels in Phnom Penh. Nº 2C, St 278 off 57, Beoung Keng Kang I, Chamkamorn,Phnom Penh, Cambodia.